With Article 50 triggered at the end of March 2017 and the UK on the path to leaving the European Union, despite the continuing uncertainty, What are the issues that Spanish or UK individuals and corporate groups relocating or doing business in Spain or the UK should be considering? What can be done to prepare for the future of cross-border trade and the movement of Capital, Goods, Services and People across both countries? 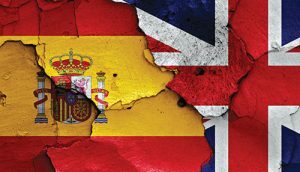 This webinar will discuss these topics outlining the most relevant tax implications in the UK and Spain as result of Brexit. VAT, customs & excise duties. Carlos Gabarró is the tax partner at ALTALEX, SL in charge of the International Tax service line. He is assisted by a team of 14 professionals. He has held leading positions in the largest Firms in the country (Garrigues and Ernst & Young). At Ernst & Young (EY) he was the EY Spanish desk leader in the US, based in NYC. Upon his return to Spain, he served as the EY Mediterranean Area market leader for their International Tax Services practice. Daniel specialises in both UK corporate and personal tax, advising a number of entrepreneurial businesses and their owners. His knowledge and experience spans various sectors and he has been involved in several corporate transactions. Daniel also has special expertise in personal taxation, in particular advising non-UK domiciled individuals. 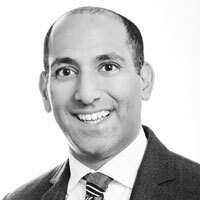 He has been recognised in the 2015 City Wealth Leaders List as one of the ‘Top 20 Accountants in the UK’ and also recently named one of eprivateclient’s 2016 ‘50 Most Influential’. Rob recently joined Sopher + Co to work in the UK/US tax practice advising HNW and entrepreneurial clients on the interaction between their UK and US tax obligations to ensure compliance and tax efficiency. Rob has spent 20 years in the Global Mobility Tax space, advising individuals and companies on complex cross-border taxation issues and most recently was regional head of global mobility managing the end-to-end relocation process for a large US investment bank. 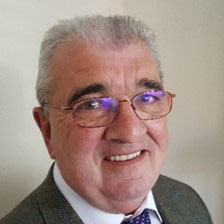 Shaun has worked in Value Added Tax for over 35 years in which time he has worked for two of the Big 4 firms as well as being head of an EU VAT consulting practice. 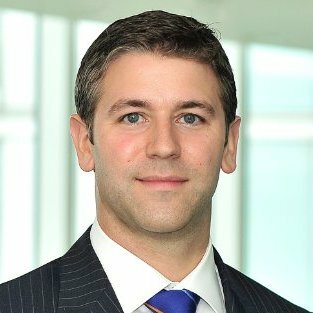 He has advised many clients on both domestic and EU VAT legislation and has been involved in advising on some high profile VAT litigation and disputes. Currently he spends a considerable amount of time advising non EU businesses entering the internet selling market where careful VAT planning is required. Shaun has also undertaken a number of Pan EU VAT reviews for clients and has worked with a large number of EU Shared Service Centres(SSC’S) spread across Europe. Our professionals have advised both local and foreign groups and top-tier multinationals such as Abertis, Cellnex Telecom, Almirall, Altran, Avon, BASF, BMW, Bunge, CRH, DirecTV, Host Hotels & Resorts, Hugo Boss, Feld Entertainment, International Paper, Lear Corporation, Lidl, Royal Caribbean Cruises, Sinopec or Walt Disney, some of which remain as ongoing clients.